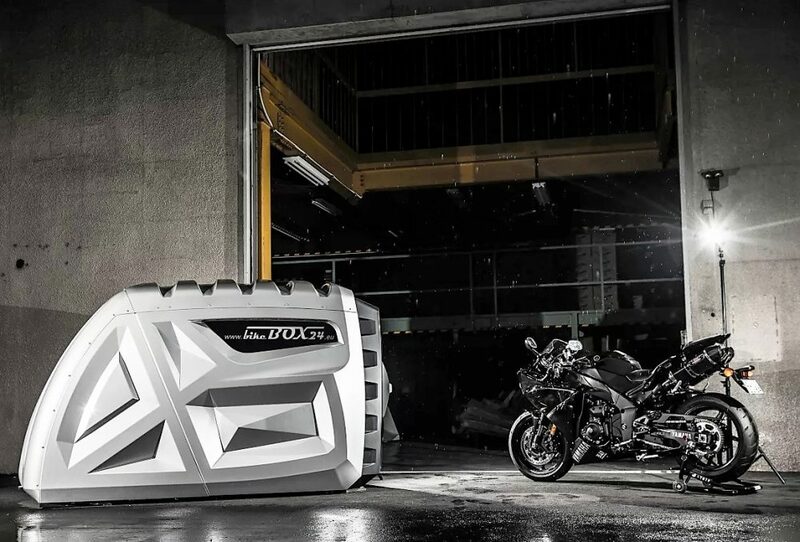 BikeBox24 is something that a true motorcycle lover would have been dreaming from a long time. 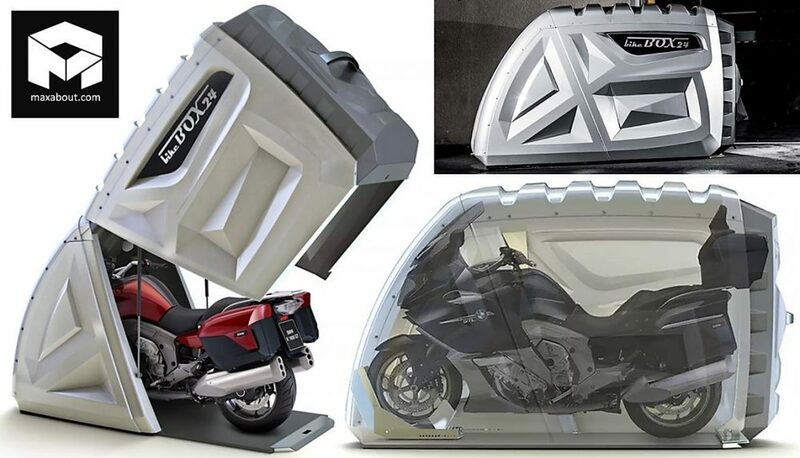 The rider who has previously owned a premium motorcycle and faced a lot of problems while safely parking the same would easily understand the importance of this unique, compact and highly reliable product. 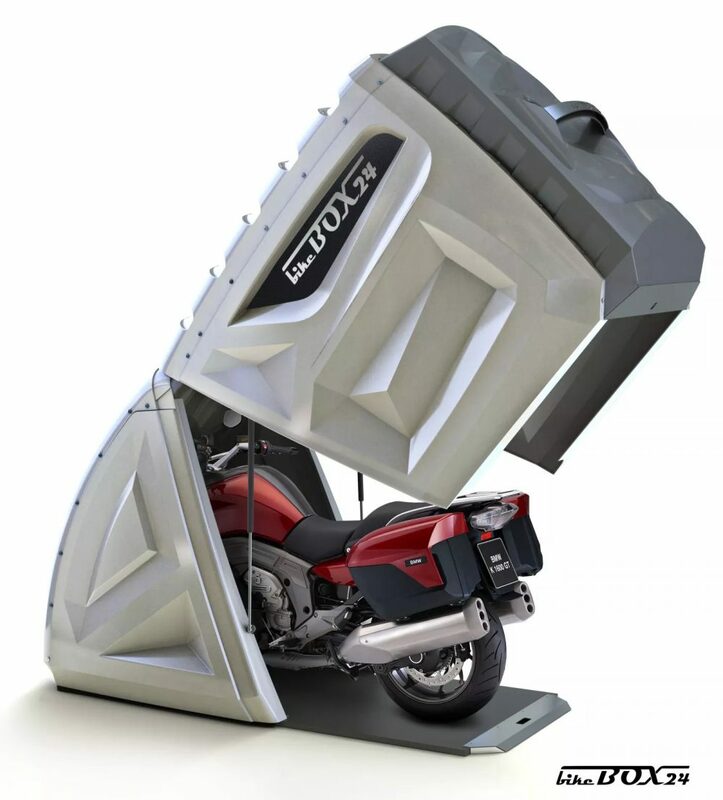 Priced at €3490 (INR 3 lakh approx, direct conversion), the Bikebox24 is available in different sizes for the need of the customer. The box is made out of wood, metal and plastic parts, keeping the product inside safe from water, heat, dust and theft issues with its lockable front end. The base is made out of wood and offers several anchor points with the ground to keep the 180 kg structure safe at all times. 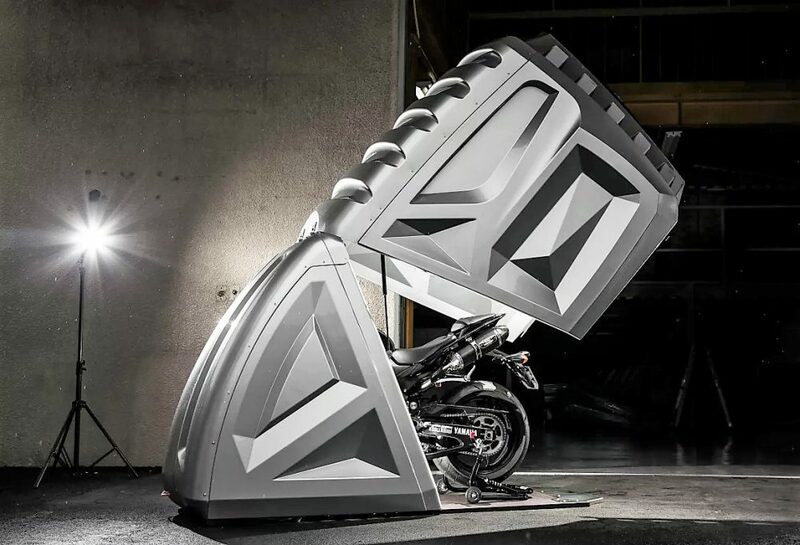 The hydraulic suspension components at both ends bring the safe opening of the structure for easy ingress and egress, leaving enough space for the rider to come out when the bike is perfectly parked. The front tire holder eliminates the need of side or center stand application, holding the bike in a straight position, without any need for further support. The availability of ventilation has made the fact sure that hot or wet bikes may not create a problem on the inside. The convenient personal garage takes much less space than an ordinary room style garage and offers the owners with the freedom to choose a point for them anywhere around the house. Even those who live in apartments can enjoy safe parking feel with this product. 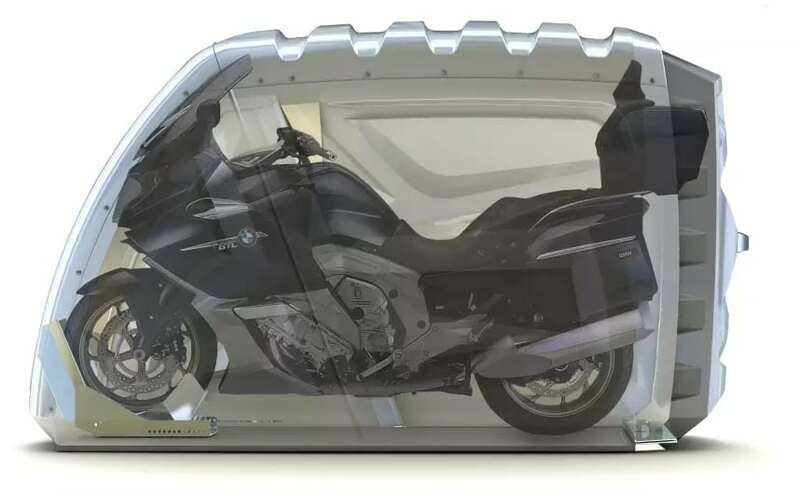 The bigger size allows huge cruisers to get decently parked inside the safe premises and saves a lot of hassle that comes in repainting the motorcycle due to minor scratches and hits. It is available in different colors and comes rated under the safe garage rating of the German insurance companies.